In today's post I'm going to show you my swatch of A-England Jane Eyre, which I received a while back from Dazzled shop. You can read more about Dazzled Shop and the gorgeous indie polish they offer at their store at my previous post. 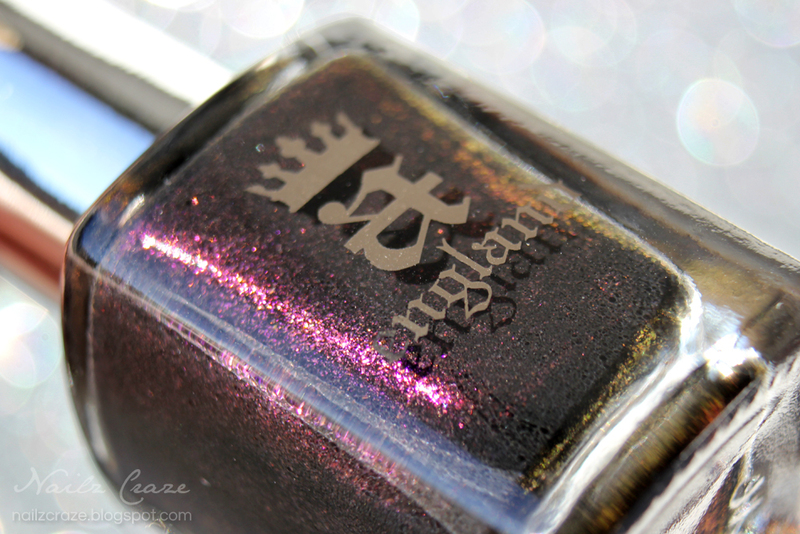 Jane Eyre was my first A-England polish in my collection and I was very excited to try it. There's something simple yet luxurious about this brands that I can't really explain, but oh I love it so much! 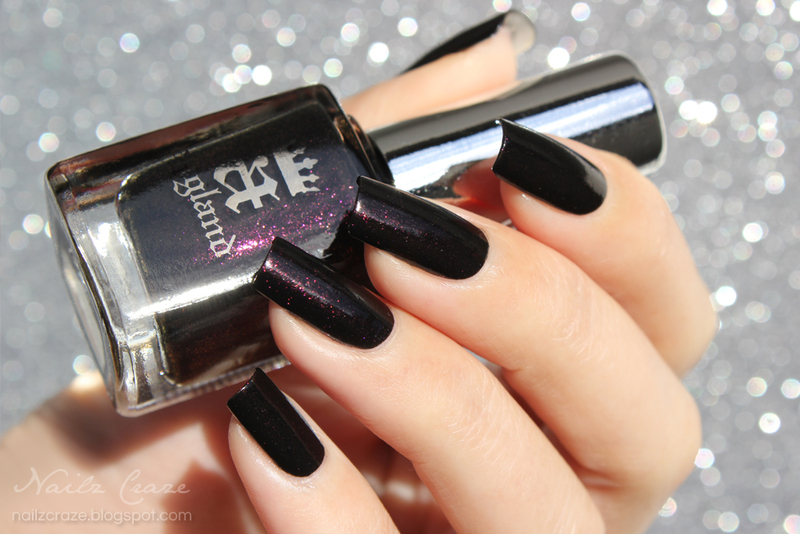 Jane Eyre has a black base with a beautiful reddish-purple shimmer. It's shimmery effect is more noticeable in the bottle than on the nails. For the photos I applied two coats, no top coat. The formula was easy to apply and dried fast. In the bottle you can spot a hint of orange and even yellow shimmer, but sadly that didn't really translate to the nails. You can see some traces of the purple shimmer on the nails, but I wish it was more noticeable. 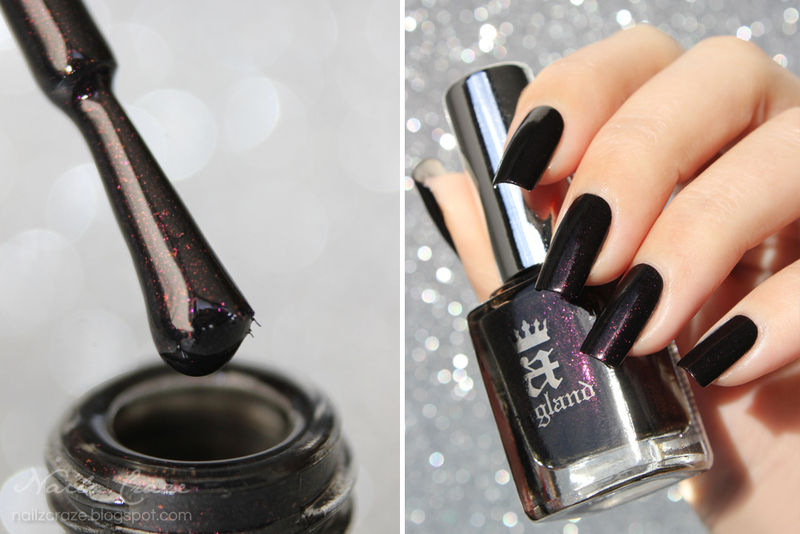 Despite that I really loved this polish and I think that this kind of dark color is perfect for the season. ну ооочень красивый цвет! из любимых мной! This shade is fantastic... 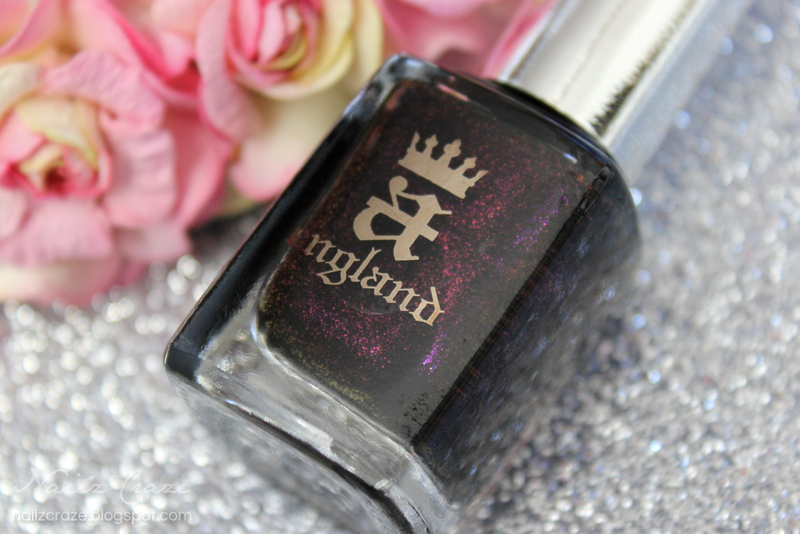 I love the A England nail polishes. You've shown this so well! The shimmer is very delicate indeed, though you could try swiping it down carefully with a q tip and some acetone, taking away that top black layer and revealing more of the sparkle! גוון מושלם, אם כי בטח על הציפורניים הקצרות (מידי) שלי הוא יראה פשוט שחור.